Fully integrated system from end-to-end empowers your leaders to make strategic decisions based on the real-time staffing information that is in front of them. 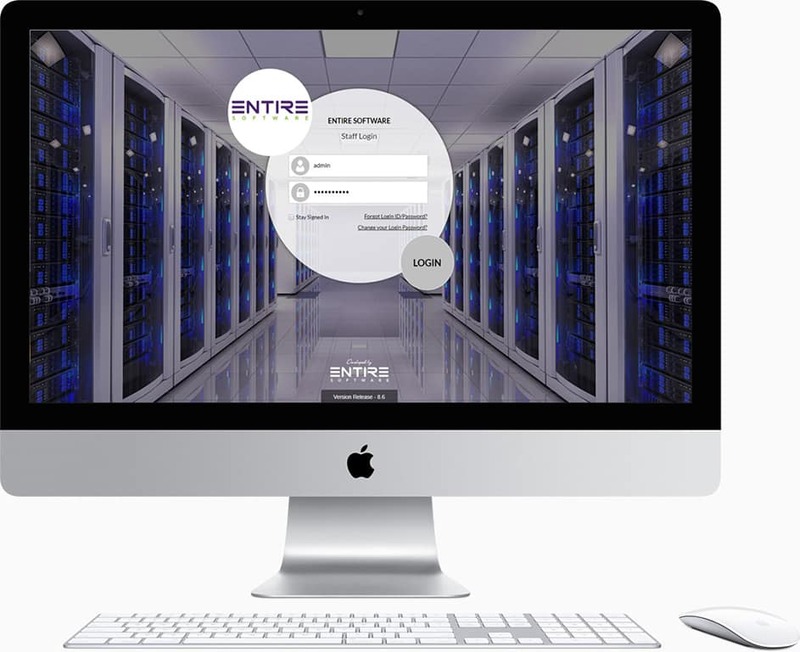 EntireHR was designed by a staffing business owner who couldn’t properly manage his business, as it was spread across several different databases, EntireHR is the labour hire solution to that problem. 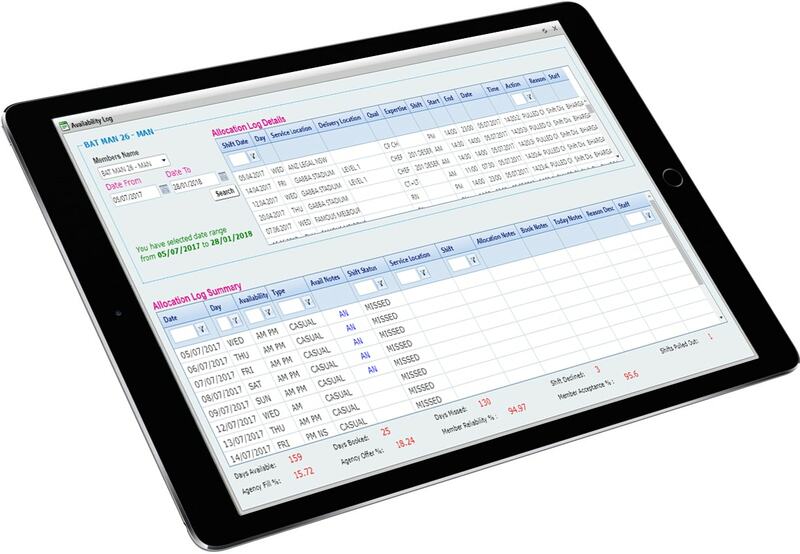 With the ability to create custom rates for your staff and clients you can track margins live in the system. When paired with the sales dashboard you can see exactly where you are spending money, put safeguards against who is past their debtor days and where you need to be focusing big on new business. 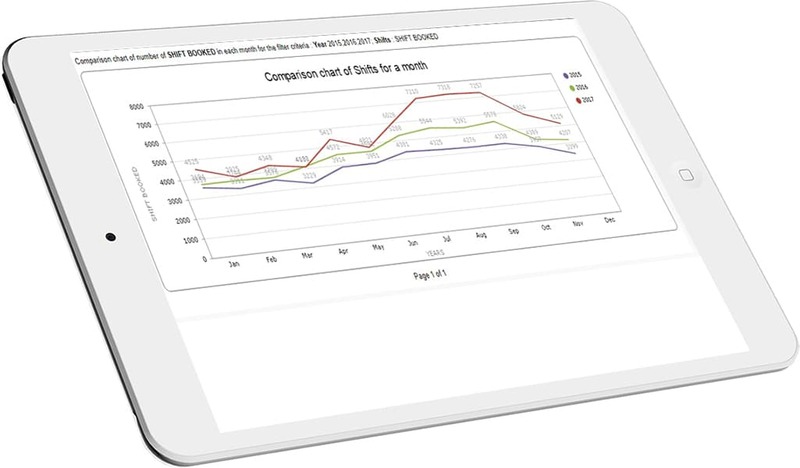 Use your managers dashboard to record, evaluate and track the KPI’s you create for the work output of your team. Managed to close a deal by calling the CEO directly? Make that 50 points. Just a short email to a generic address? Sorry that’s only 1 point. A powerful way to discover and reward your high performers. With multiple custom frameworks to create industry specific compliance standards and regulations, EntireHR will handle your compliance in the background. 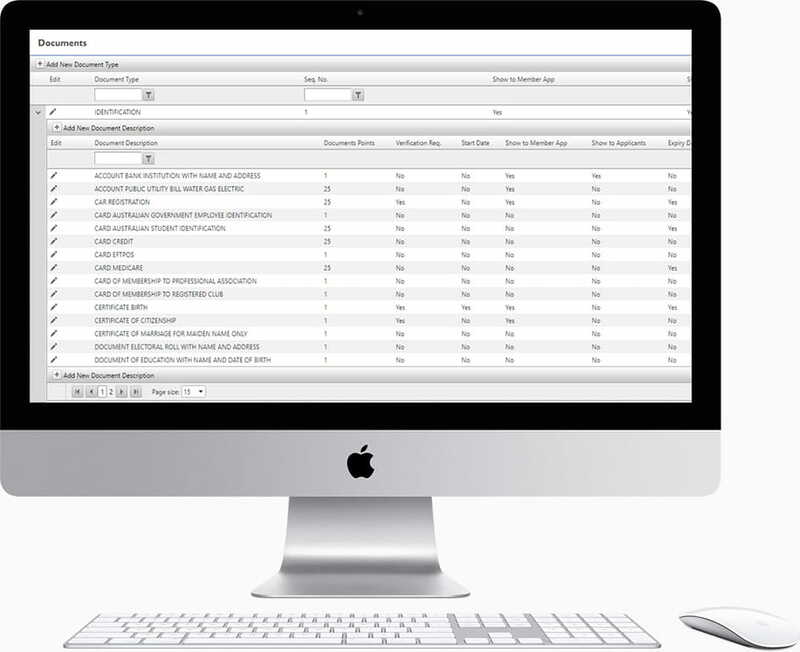 This saves your staff from repetitive data entry and record checking, as you can guarentee your clients all required compliances are always automatically verified and up to date. 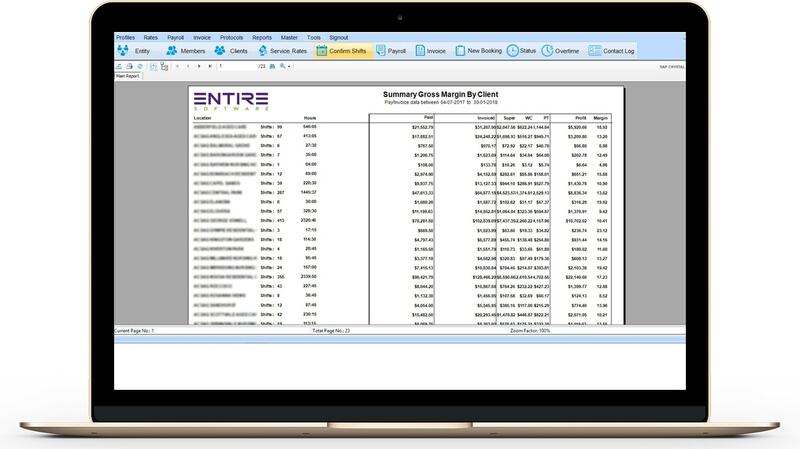 With a complete and user-customisable document management system for all user types, there isn’t a document that you can’t store in EntireHR. From clients, to new applicants, external staff and new prospects. All documents can be stored in appropriate locations with custom access authorisations as per your requirements. 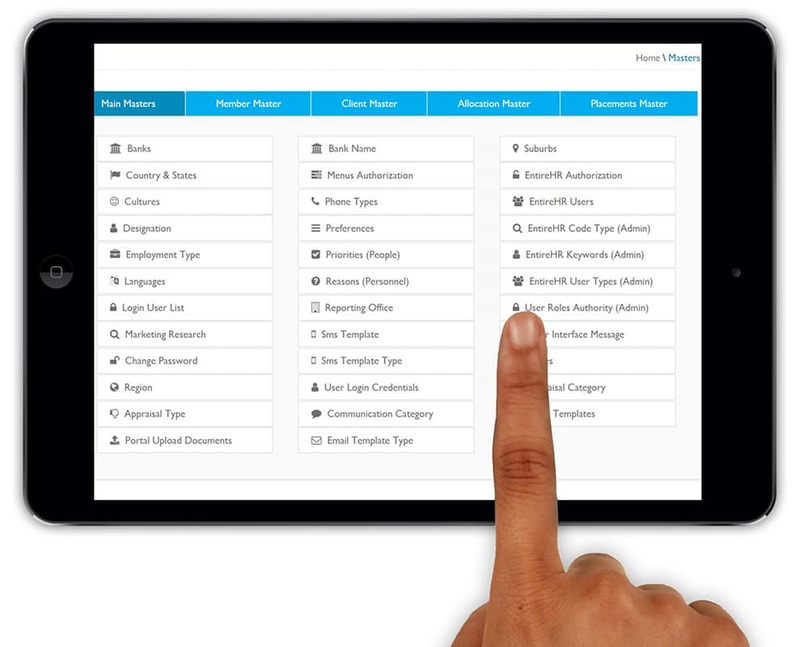 EntireHR gives you user controlled customisation. From the skills and types of industry you supply to to the specific rules and operations governing each client. This empowers you to run your business the way you want it to, without calling your software company to try and change something that doesn’t work for your staffing needs. EntireHR provides enormous flexibility and market adaptability.